Why Do Mosquito’s Bite Some People, but not Others? Have you ever wondered why you are all bit up with mosquito bites, but it seems other people you are with, didn’t get one bite? I always tell my husband I am the best mosquito repellent……..they LOVE me, and leave him completely alone! There are several things that mosquitoes like…….and because there are different species, what attracts one species, may not attract the other. Some are attracted to human blood, others prefer animal blood. 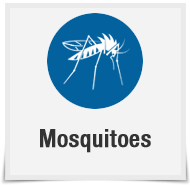 There are more than 70 species of mosquitoes---2700 world wide---that transmit diseases to people, when they bite. So sometimes it can be very difficult to figure out what exactly is attracting them. The human skin produces more than 350 different odors---and many of these odors attract mosquitoes, as well as other insects that bite. But what has been found to attract them the most is our breath, sweat, blood type, and smelly feet! Yep, you read that right. Mosquitoes have been found to have the most attraction to carbon dioxide, and can sense it as far as 50 yards away. Why is this important? Well when we breathe out, that is carbon dioxide. This makes is pretty much impossible to keep the mosquitoes away. When the female mosquito (these are the ones that bite) senses carbon dioxide, she will fly in a zig zag pattern, back and forth, until she has found the source…which is us, breathing. But it’s not just the carbon dioxide that they are attracted to, there are things in our breath that make the mosquito more attracted to certain people. A large group of people can exhale a decent amount of carbon dioxide, therefore they will attract the mosquitoes. A pregnant woman will attract more mosquitoes because she tends to breathe out more carbon dioxide.